After attending the University of Rhode Island College of Pharmacy, he received his dental degree from New York University College of Dentistry in New York City. Dr. Saltz has been in family dental practice since 1984. He maintains active membership and leadership roles in several dental and civic organizations as well as serving on the Council of Insurance. In addition, he is past President of the Maine Dental Association and is past President of the Greater Portland Dental Society. 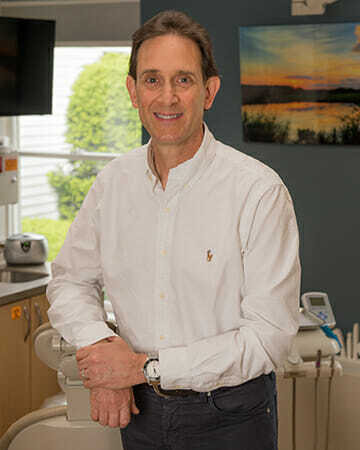 Dr. Saltz is currently Board Chair of the Maine Board of Northeast Delta Dental. He has completed the Executive Education program “Making Corporate Boards More Effective” at the Harvard Executive Business School. His achievements have been listed in several highly regarded publications, and he has received several honors and awards. Dr. Saltz is co-founder of the Dentists Who Care for ME project, which is a day of free dental care for those in need in the Greater Portland community. The project includes other generous dentists and specialists from the Greater Portland Dental Society in conjunction with the Maine Dental Association. Since it’s inception in 2009, efforts of the project have resulted nearly 3/4 million dollars in donated dental services. Dr. Saltz has achieved Fellowship status in the Academy of General Dentistry and the International Congress of Oral Implantology. He has fellowship in three of the most prestigious international dental organizations – The American College of Dentists, The International College of Dentistry and the Pierre Fauchard Academy. These organizations exemplify excellence through outstanding leadership and exceptional contributions to dentistry and society. Dr. Saltz is a past Admissions Committee member at the New York University College of Dentistry. He is an avid student of the Pankey Institute in Florida and is a Pankey Alumni member. Dr. Saltz is a member of the Casco Bay Study Club, an affiliate of the national Seattle Study Club, which focuses on inter-disciplinary treatment with multiple specialty practices for best patient outcomes. He is also a member of the American Academy of Cosmetic Dentistry, the Academy for Sports Dentistry and participates in other dental organizations and study clubs. Dr. Saltz has coached Soccer, Basketball and Little League in Scarborough from 1998 – 2008. He has also been a volunteer lane timer for Waynflete High School, Scarborough High School and Scarborough Middle School Swim Teams. He and his wife Lori reside in Scarborough and have two grown sons, Adam and Mason.